An older (2001 vintage rather unusual form of fluorite from a location that was once prolific. We see almost nothing now from Xinghauling and this small find had unique esthetics. Excellent condition and color, displays well from every side, with bright luster. From an old small find of these exotic, tapered habit gem beryls, this is a very nice, clean example. 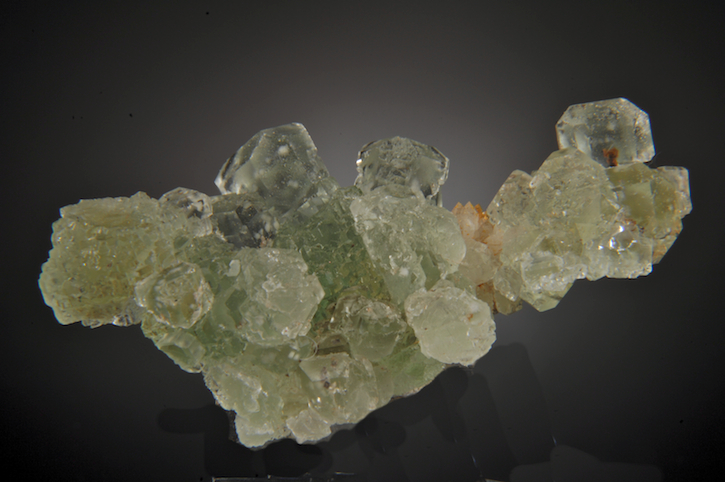 Excellent condition, with great texture, color and form, this is not a typical Beryl at all! Ex Larry White collection. 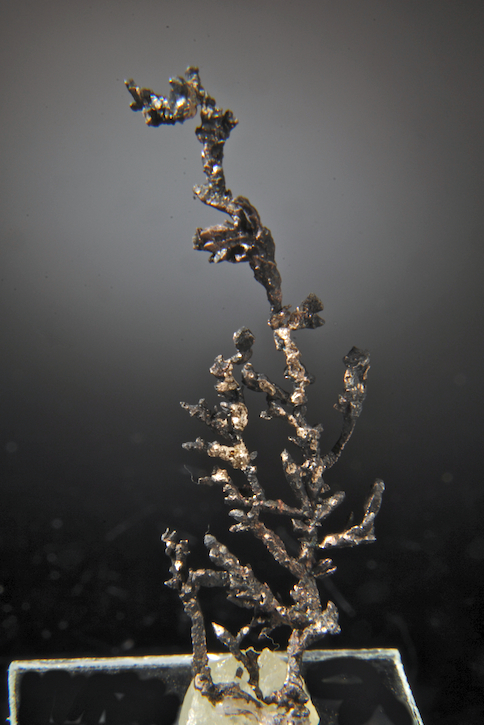 A very delicate and elegantly crystallized silver with exceptional for for the locality. From the Kearsarge lode this is not typical at all and is a remarkably well prepped and presented tree of fine spinel law crystals and feathery branches. ex Larry White collection, a fine old time piece! THIS IS NOT CHINESE! A very fine old Lane Quarry (Massachusetts) specimen that has great esthetic presence. The Lane Babingtonite were considered to be the best in the world until the newer Chinese finds were made. 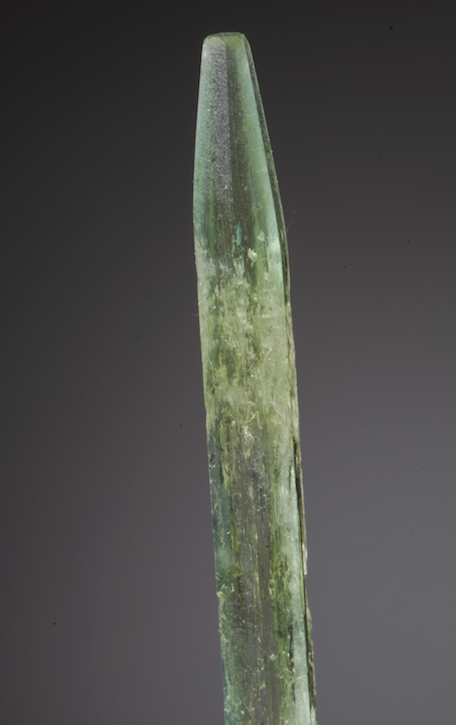 These have a distinctly different crystal habit that does not occur in China, and are far rarer! 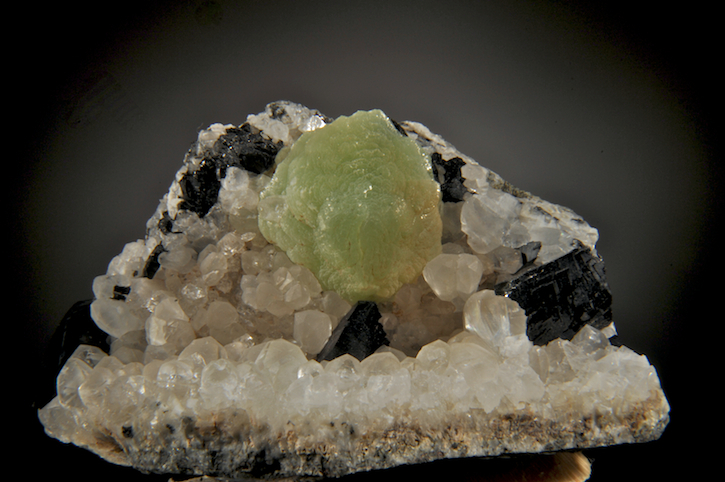 The Prehnite ball adds a nice balance and the luster overall is exceptional. Ex Larry White Collection, a very attractive piece! Ex. Doug Ervin collection, Ex Collector's Edge. 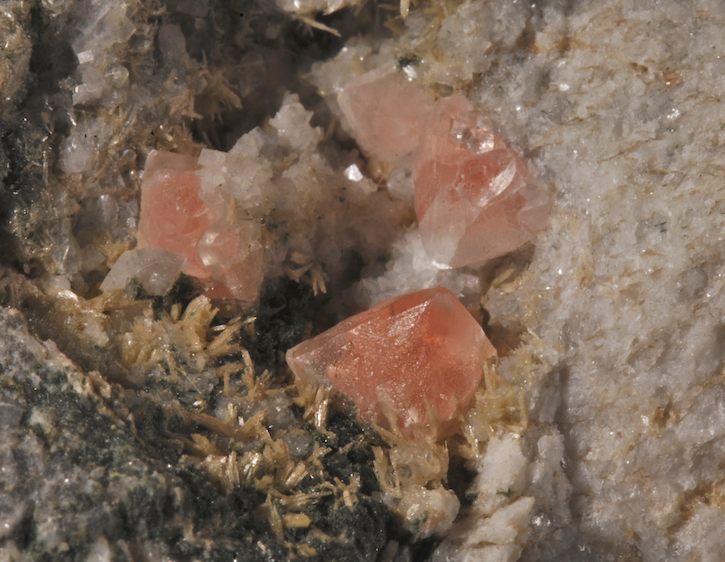 The mineral market is flooded with average quality traprock specimens, so we avoid most Indian Zeolites unless they are especially good. This one is one of those few! Perfect, undamaged, sharp, well composed and a great example of the specie. Far better in person the esthetics are top notch. A nice sized vug of rich gemmy blue Scorodites in a hard (not crumbly!) matrix. Micro brownish spheres are noted that are reputed to be Beudantites but look much like Carminites to me, either way, a nice addition. In excellent condition, with magnification it is possible to see through the very clear blue crystals to the brown matrix below! A Mexican classic, these are rare on the market and this is a good example. Pink Fluorite with Clinozoisite, Rhombic Adularia, Clinochlore etc. 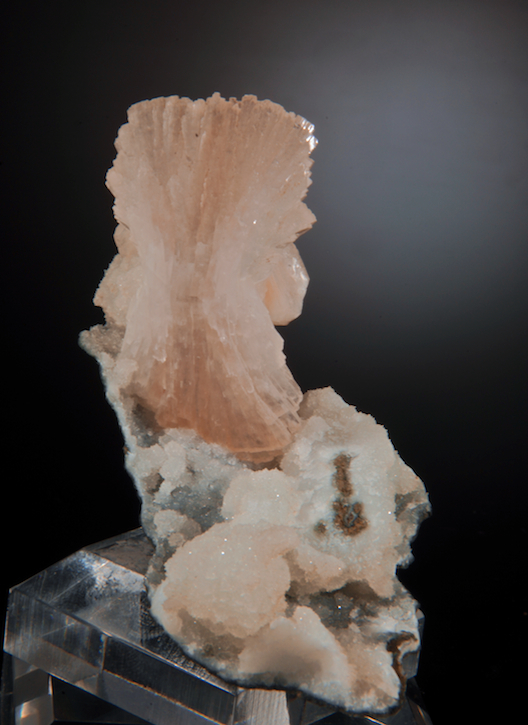 A fine alpine cleft Pink Fluorite that is NOT Swiss or French but a much rarer Italian Piedmont piece! With magnification this is especially striking, the octahedrons are glassy, sharp and show complexities, they are set in a vug lined with spikey Clinozoisites and glassy rhomb form Adularia. All with a sprinkle of bright green Clinoclore (Amesite?). Very rare to see any of these for sale this is an especially nice older specimen of pre 1960 vintage. Ex Bill Hlaydsz collection. 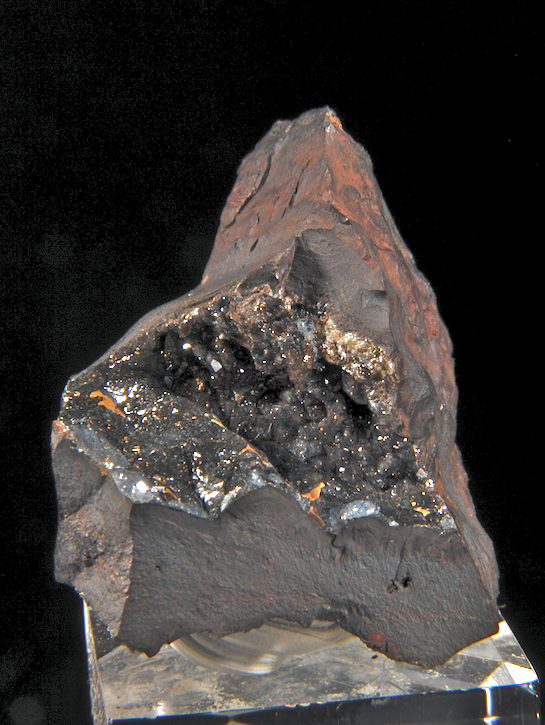 Mina Ojuela has produced loads of nice Adamites, (it is the world's best locality for the mineral) but really great ones are very uncommon and prized. This one is top quality. 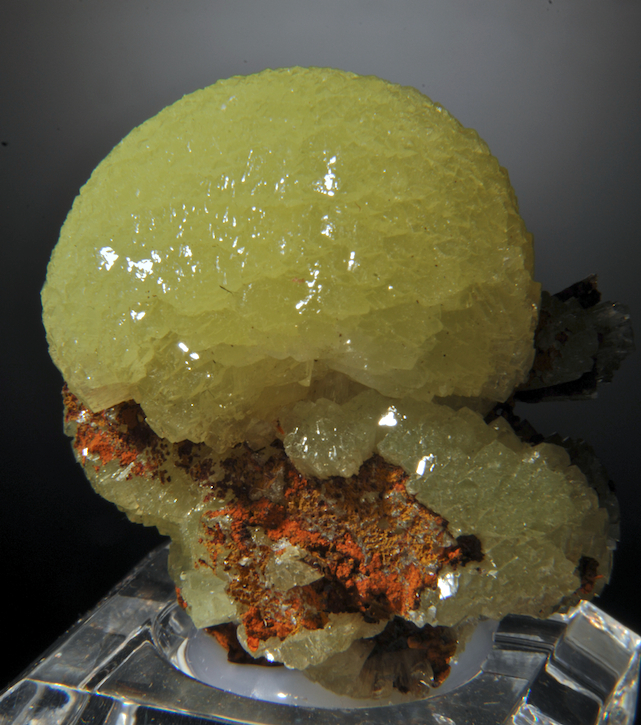 The most desirable form of Adamite is the Spherical radiating pinwheel of brilliant lemon-green color from Mina Ojuela. This is a impressive, fine specimen with a lustrous damage-free sphere. Great esthetics and color, this had been in the collection of Ernie Schlichter. A very good value for this quality!